Dutch rock sensations DELAIN have today announced the February 22nd release of ‘Hunter’s Moon’. ‘Hunter’s Moon’ is the final part of a trilogy, that also includes DELAIN‘s EP ‘Lunar Prelude’ and album ‘Moonbathers’. The release includes four brand new studio tracks, ten live songs, and a Blu-ray disc of those live songs, filmed at Utrecht’s Tivoli venue, during DELAIN‘s sold out ‘Danse Macabre’ European tour in 2017 and featuring special guests including Nightwish’s Marco Hietala. 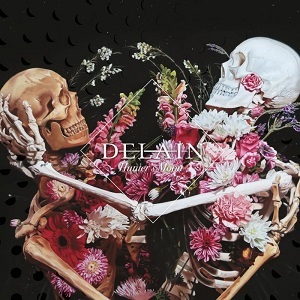 Perfect for both old and new DELAIN fans, the release encapsulates their breathtaking live show and showcases their stunning stage production, as well as offering a taste of what’s to come from their next studio album, also due out in 2019.